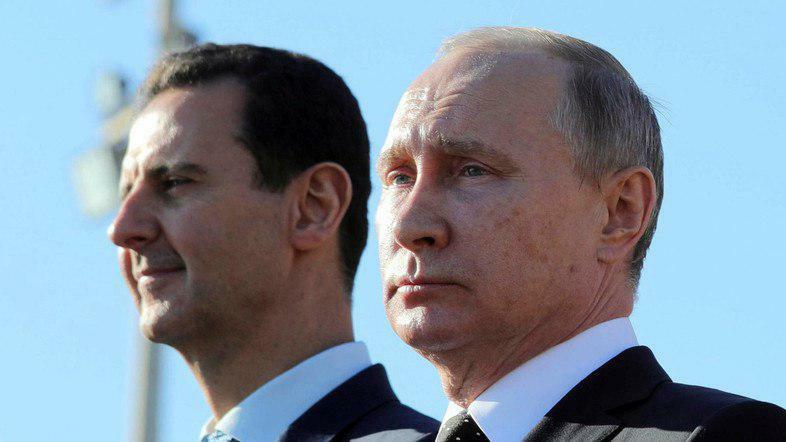 MOSCOW, April 15 (Xinhua) — Illegitimate actions like the latest U.S.-led missile strikes on Syria will disrupt international relations, Russian President Vladimir Putin warned Sunday in a telephone conversation with his Iranian counterpart Hassan Rouhani. "Putin, in particular, emphasized that if such actions continue in violation of the UN Charter, this will inevitably lead to chaos in international relations," said a Kremlin statement released after the conversation. The two top leaders also discussed the overall state of the Middles East issues, the statement said. The Syria missile strikes at 3:55 a.m. local time (0055 GMT) on Saturday were carried out by the United States and its European allies, Britain and France, for the sake of, as the three claimed, deterring future use of chemical weapons. Some 110 missiles were launched in Syrian territory, targeting Syrian military sites in Damascus and elsewhere, Syria's state news agency SANA said, citing the military. Iran's Foreign Ministry condemned the joint strike, saying in a statement "this invasion is a clear violation of international regulations and undermining Syria's national sovereignty and integrity." Putin said Saturday that the U.S.-led strike on Syria was "an act of aggression" against a sovereign state and Russia strongly condemned it.